Cafe is located at the Heart of the San Antonio Riverwalk, nestled between the Hilton Pilacio Del Rio Hotel and the Hyatt Regency. It’s the perfect place to take a break from meandering along the river and enjoy Lunch, Dinner, or Happy Hour. 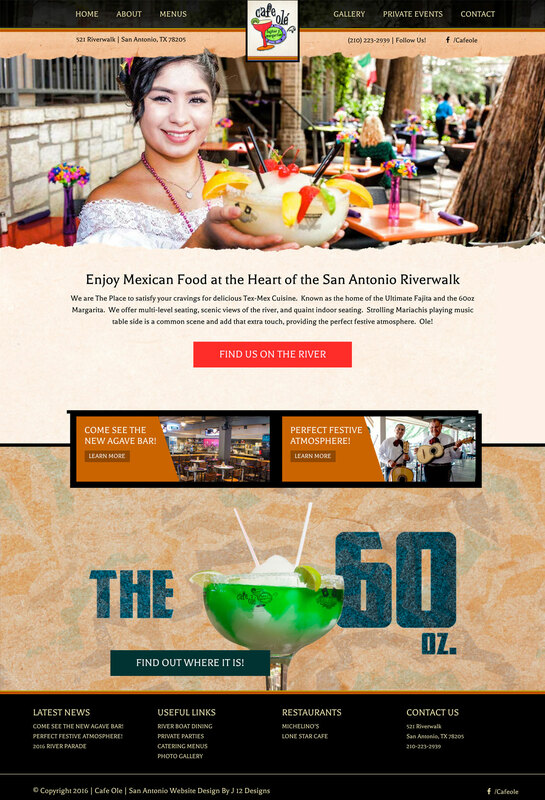 They needed an upgrade that was mobile friendly and showed the awesome environment of the Riverwalk.